Dr. Mike Jenkins, VP of Student Development and Chief Student Affairs Officer. The Student Development Office provides information, policy interpretation and rights adjustments upon request, handles disciplinary and social adjustment problems and provides a variety of programs. 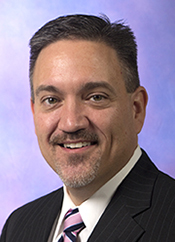 Dr. Mike Jenkins serves as the Vice President of Student Development which includes the Student Success Office, Residential Life, Admissions and Registrar's Office, Financial Aid, KCPD, Rangerettes, Cheerleading, Counseling, Testing and Enrollment Management & Marketing. For more information call (903) 983-8189 or visit the office on the first floor of the Devall Student Center, 1100 Broadway, Kilgore, TX 75662. What is the Co-Curricular Transcript? The Co-Curricular Transcript is an official record of the co-curricular activities and accomplishments of Kilgore College students. NOTE: This transcript is not for academic grades and classes. How is the Co-Curricular Transcript used? Official copies of the Co-Curricular Transcript are used to complement your resume and academic transcript for applications to universities and prospective employers. What type of activities should be submitted? Leadership activities: includes any leadership role in any organization, activities, or program of any duration, i.e. organizational officer, Student Government Association member, athletic team captain, etc. Professional or educational development: includes participation in any extracurricular learning experience, such as workshops, seminars, conferences, training programs, campus organized volunteer service experiences generally related to personal or professional development, non-credit co-op/internship, SGA Leadership Conferences, Resident Advisor, etc. This section may also include student assistant and work study assignments. Honors, awards, recognition: includes any type of formal recognition bestowed on you individually or as part of a group such as honor societies, Kilgore College’s dean’s list, NJCAA recognition, etc. Participation: includes membership in any organization, activity, athletic team, community service activities, or performing arts production. Should I include employment experiences? Employment experiences may be included only if they are connected to your educational experience such as co-op, work study position, student assistant, and/or internships in which no academic credit was granted. When should entries be submitted? Items you wish to submit should be sent to the Vice President of Student Development’s Office (located in the Devall Student Center) with proper validation as soon after completion of the activity as possible. We will not refuse items based on dates as long as proper validation is received. Why not wait until graduation to complete my transcript? Experience with the Co-Curricular Transcript indicates that your transcript will be more complete and accurate if you submit entries as soon as possible upon completion. You should review your transcript each semester or at a minimum each year. How do I submit entries for my transcript? Will entries be submitted if I continue participation in the group or hold the same or different office for an additional year? Yes, your transcript will show your participation and office held for each semester. Must all entries be validated? Yes! Entries will not be entered without appropriate validation. The Vice President of Student Development will have final approval of what types of entries will be accepted and who is the appropriate person to validate the information. Who can validate my entries? Validations must be provided by a non-student official representative directly associated with the activity (i.e. Faculty advisor). How do I view or order copies of my transcript? Orders should be placed in the Vice President of Student Development’s Office at least two weeks prior to the date you need them. Download a Transcript Request Form. Can my transcripts be edited? You can request corrections to the content of your transcript by contacting the Vice President of Student Development’s Office. Can my Co-Curricular Transcript be mailed to employers or universities? Typically the Co-Curricular Transcript is mailed directly to the student. The student may reproduce as many copies as needed and send them to prospective employers and graduate schools. How long are my records kept after graduation? We will keep records for at least five years after graduation and longer if space permits.